Are you looking for a Foxy lady to steal your heart? If so, two-year-old Foxy is the dog for you! This lovable, 100-pound pup is as friendly and fluffy as they come! 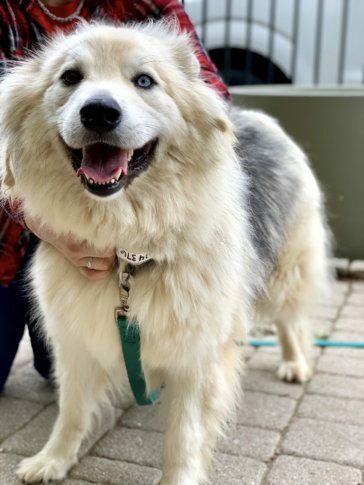 She loves people and other dogs, and is ready to find her new home here in D.C. after coming to the Humane Rescue Alliance from Birmingham, Alabama. Morning walks and playtime with her brother, Butch, and a good brushing are some of Foxy’s favorite activities. Meet Foxy, and her brother Butch, at HRA’s Oglethorpe Street adoption center!